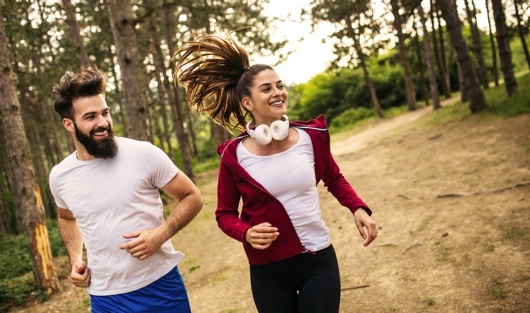 Agiofibe contains an optimal balance of insoluble and solube fibre, which has been carefully formulated using both the seeds and husks from the psyllium plant (Plantago ovata or Ispaghula). Food for thought: A healthy diet contains a good balance of insoluble and soluble fibres. Did you know the recommended amount of daily fibre intake from a healthy diet is 30g for men and 25g for women? If you don’t already eat a lot of fibre, an important tip is to increase the amount you consume gradually so your body can adjust. Adults and children 10 years and over: 2 teaspoons each evening, followed by a glass of water. If required, an additional dose can be taken in the morning. Agiofibe granules are coated, making them convenient and easy to swallow. Agiofibe must not be chewed, but can be swallowed whole or mixed with any semi-liquid food, such as yoghurt. Drink plenty of water. Contains sucrose. 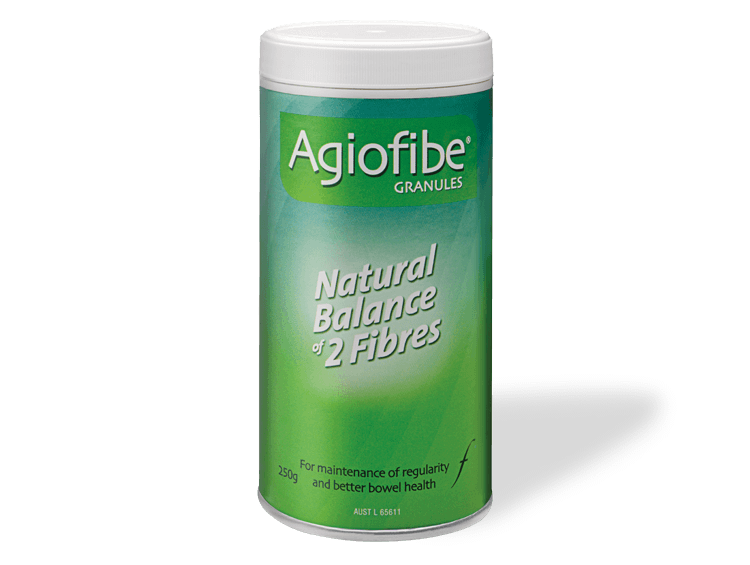 Agiofibe is a high quality dietary fibre supplement that is well tolerated and used worldwide to support bowel health. Agiofibe is a natural medicine that supports bowel health. The formulation contains an optimal balance of soluble and insoluble fibres from the Psyllium plant carefully designed to promote regular bowel movement and assist healthy bowel function. Its granular formula is well tolerated and convenient, requiring no mixing or mess. Is Agiofibe likely to interact with any medications? There are no known interactions between Agiofibe and other medications; but it is recommended to be taken away from other medications so as to reduce the risk of inhibiting absorption. It is recommended to take other medications at least 1 hour before or after taking Agiofibe. If you have questions about using Agiofibe, it is recommended that you talk to your healthcare professional. Can Agiofibe be used in pregnancy and breastfeeding? If you are pregnant or breastfeeding seek medical advice before use. Your healthcare professional can discuss with you the risks and benefits involved in taking Agiofibe during these life stages. Can Agiofibe be given to children? Agiofibe can be given to children 10 years and over. Please consult your healthcare professional for children under 10 years. Agiofibe does not contain added gluten. No, Agiofibe does not contain lactose. Will Agiofibe affect my ability to drive and operate machinery? Agiofibe has no known adverse effects on the ability to drive and operate machinery. Where can I find Agiofibe? Agiofibe is available from selected pharmacies and health food stores. If you go to the Where to buy button on our website, you will be able to find a list of stores in your area who either stock Agiofibe or will know how to order Agiofibe. Even if your local pharmacy is not on the list, they will be able to order it in for you. NHMRC, The Australian Dietary Guidelines, 2013. European Medicines Agency, HMPC, Community herbal monograph on Plantago ovata Forssk., seminis tegumentum, 2013. EMA/HMPC/199774/2012.